In his sixth book of poetry, Todd Davis, who Harvard Review declares is “unflinchingly candid and enduringly compassionate,” confesses that “it’s hard to hide my love for the pleasures of the earth.” In poems both achingly real and stunningly new, he ushers the reader into a consideration of the green world and our uncertain place in it. As he writes in “Dead Letter to James Wright,” “You said / you’d wasted your life. / I’m still not sure / what species I am,” and, to that end, Native Species explores what happens to us—to all of us, bear, deer, mink, trout, moose, girl, boy, woman, man—when we die, and what happens to the soul as it faces extinction—if it “migrates into the lives of other creatures, becomes a fox or frog, an ant in a colony serving a queen, a red salamander entering a pond before it freezes.” He wonders, too, “How many new beginnings are we granted?” It’s a beautiful question, and it freights, simultaneously, possibility and pain. These are the poems of a poet maturing into a new level of thinking, full of tenderness and love for the home that carries us all. 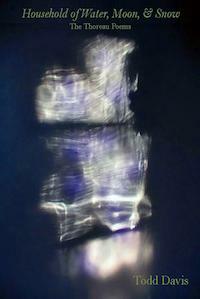 Winner of The ForeWord Magazine Book of the Year Silver Award. 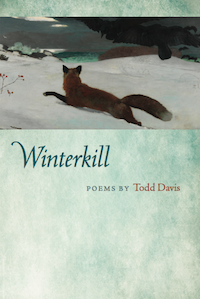 In poetry that is at once accessible and finely crafted, Todd Davis maps the mysterious arc between birth and death, celebrating the beauty and pain of our varied entrances and exits, while taking his readers into the deep forests and waterways of the Northeastern United States. With an acute sensibility for language unlike any other working poet, Davis captures the smallest nuances in the flowers, trees, and animals he encounters through a daily life spent in the field. Davis draws upon stories and myths from Christian, Transcendental, and Buddhist traditions to explore the intricacies of the spiritual and physical world we too often overlook. In celebrating the abundant life he finds in a ditch—replete with Queen Anne’s lace and milkweed, raspberries and blackberries, goldenrod and daisies—Davis suggests that life is consistently transformed, resurrected by what grows out of the fecundity of our dying bodies. 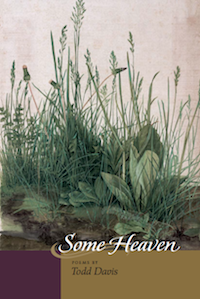 In his fourth collection, the poet, praised by The Bloomsbury Review, Arts & Letters, and many others, provides not only a taxonomy of the flora and fauna of his native Pennsylvania but also a new way of speaking about the sacred walk we make with those we love toward the ultimate mystery of death. Winner of The ForeWord Magazine Book of the Year Bronze Award. In his third collection of poems Todd Davis advises us that "the only corruption comes / in not loving this life enough." Over the course of this masterful and heartfelt book it becomes clear that Davis not only loves the life he's been given, but also believes that the ravishing desire of this world can offer hope, and even joy, however it might be negotiated. Drawing upon a range of stories and myths, as well as from his own deep understanding of the natural world, Davis explores the connection between the visible and invisible worlds, or what Pierre Teilhard de Chardin called "the incandescent surface of matter plunged in God." A poetic descendant of Walt Whitman, Davis invites us to sing "the songs we collect in the hymnals of our flesh- / impromptu, a cappella, our mouths flung open / in a great wide O." 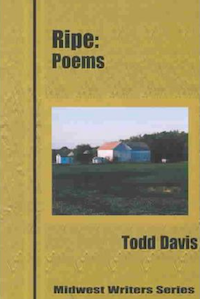 Todd Davis writes poems that are spare yet eloquent, poems with an appealing simplicity that belies their insight and consequence. They are rooted in the firmament of nature's frequently bruised bounty, yet grounded by our all-too-human experiences on this planet. With the eye of a naturalist and the wisdom of a sage, Davis reveals scenes of our lives that we might have otherwise missed. His poems are like the best kind of snapshot; they show us the details that deserve more attention. 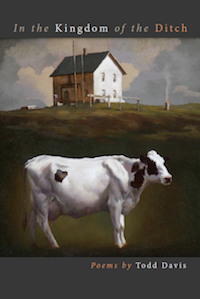 With disarming directness, he connects nature to family, landscape to community, and earth to faith. He urges us to see—not to take a quick look, but to really see—frost on goldenrods, the qualities of dirt, the color of air. Underneath, of course, these are poems about universal themes: love, loss, life, death; but in Davis's skilled hands, they appear to us to be more akin to wild strawberries growing along the field’s edge or apples discovered in an abandoned orchard: something fresh, unexpected, and thankfully welcomed. In his debut collection of poems, Todd Davis explores the rivers and streams, the forests and woodlots of the Midwest. Here family and landscape are inseparable, as are spirit and flesh, life and death. Drawn to an exploration of the myriad connections between all forms of living creatures, Davis’s poems are populated with bear and porcupine, loon and heron, as well as the lessons he learned from his farming grandfather and his veterinarian father. After years of reading the journals and works of Henry David Thoreau, Todd Davis has written a series of poems that attempts to capture the smaller, neglected moments of Thoreau’s life and writing. 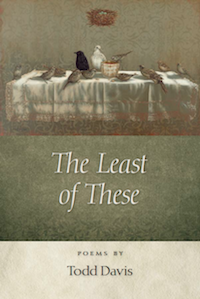 Using the first and third person perspective, these poems make connections between the human and natural worlds, offering possible bridges between the two and urging the reader to cherish the world as Thoreau did. If baseball is the sport of nostalgic prose, basketball’s movement, myths, and culture are truly at home in verse. 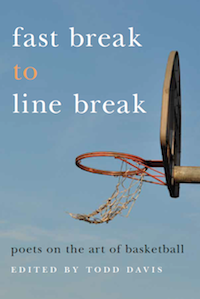 In this extraordinary collection of essays, poets meditate on what basketball means to them: how it has changed their perspective on the craft of poetry; how it informs their sense of language, the body, and human connectedness; how their love of the sport made a difference in the creation of their poems and in the lives they live beyond the margins of poetry. Walt Whitman saw the origins of poetry as communal, a kind of oral mythmaking. The same could be said of basketball, which is the beating heart of so many neighborhoods and communities in this country and around the world. On the court and on the page, this “poetry in motion” can be a force of change and inspiration, leaving devoted fans wonderstruck. This diverse collection of poems and companion essays by forty nationally and internationally known poets allows readers to experience the creative process through the eyes and voice of each poet. No matter how often we are told that revision is an essential component of poetic composition, it can be difficult to resist the temptation to think of the poem as having sprung spontaneously, Athena-like, from the writer’s head. 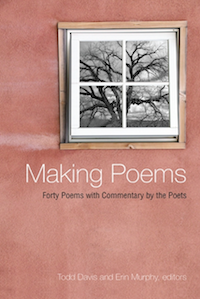 By exposing readers to the finished product as well as the poet’s own account of the poem’s creation, Making Poems offers a behind-the-scenes perspective on the poetic process that will fascinate both beginning and established writers. The book also affords poetry instructors an opportunity to demonstrate to their students the ways in which poems can originate from seemingly mundane and unlikely sources.